Singer Frank Ocean is cancelling appearances at Montreal's Osheaga Festival and Toronto's OVO Festival due to a vocal cord injury. Osheaga will be seeking a replacement for Ocean, the festival confirmed. OVO has been forced to cancel its first day. Ocean had previously cancelled tour dates in Australia because of the injury he suffered last week. 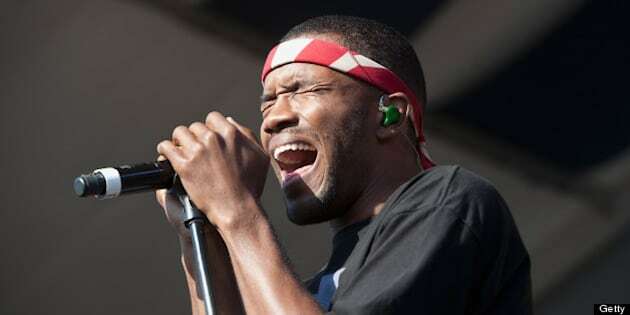 "After last night's concert in Melbourne at Festival Hall, it was necessary to seek medical advice due to vocal issues Frank Ocean experienced during the show. It has subsequently been confirmed that Frank has suffered a small tear to one of his vocal chords and has received medical advice that he must rest his voice." OVO will be adding James Blake to its second night on August 5.